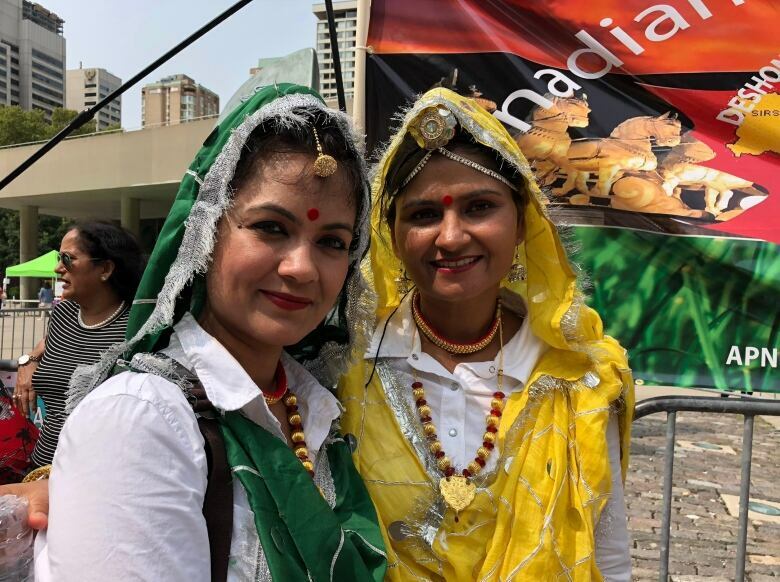 Downtown Toronto was awash in vibrant colours, Indian music and waving flags Sunday afternoon as thousands of people celebrated India's culture, heritage and Independence Day at the India Day Festival and Grand Parade. 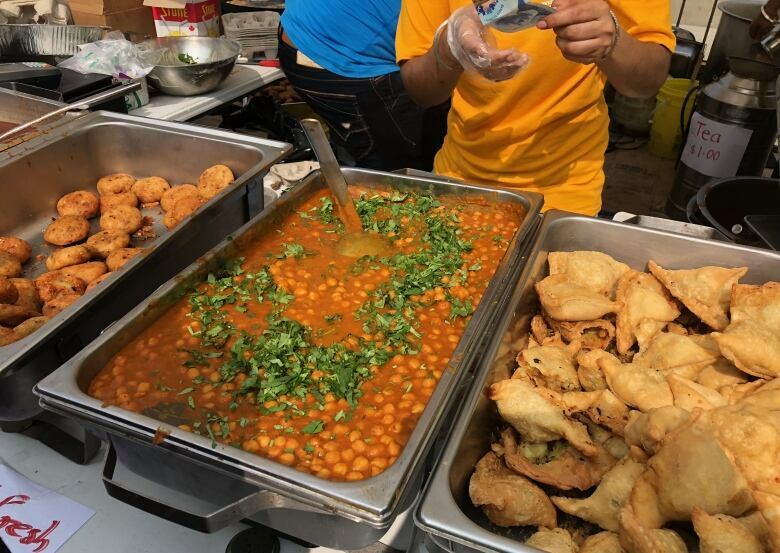 Downtown Toronto was awash in vibrant colours, music and waving flags Sunday afternoon as thousands of people celebrated India's Independence Day, culture and heritage at the India Day Festival and Grand Parade. Indo-Canadian dancers and musicians performed on stage at Nathan Phillips Square, and people lined up for delicious foods and drinks. Groups danced atop floats during the afternoon parade, and people dressed in traditional garb represented various regions of the country. Bollywood actor Jimmy Sheirgill marshalled the 20-float parade, which began in Nathan Phillips Square before moving down Dundas and Yonge Street, and heading back along Queen. "We are very far away from our country in miles, in distance, but our country is in our heart," said Rekah Gupta, who attended the festival. "We are here to celebrate India's Independence Day." The event showcases India's immense cultural diversity, said Anu Srivastava, president of Panorama India, which organizes the annual event with the support of Consulate General of India. There were people representing all 29 Indian states, and the country's many languages and cultures. ​Now in its 19th year, the event first started at Yonge-Dundas Square. But Srivastava said they outgrew that space and had to move to Nathan Phillips Square last year. There were 60,000 attendees in 2017, she said, and they hoped to surpass that number this year. "We are blessed to be living in a country where we can celebrate other cultures, our own identity," said Srivastava, who says the event is also a chance to engage youth. People come from all over for the festival and parade, said Consul General of India in Toronto Dinesh Bhatia. He says it's a chance to celebrate India, as well as India's relationship to Canada. But India is also in national mourning, said Bhatia. While speaking to the crowd, he lead a minute of silence for former Indian Prime Minister Atal Bihari Vajpayee, who died on Thursday. In an interview, Bhatia also noted the recent disastrous flooding in India's Kerala state. Panorama India says more than 100 community organizations were expected to participate in the festival, which runs until 10 p.m. on Sunday. India's Independence Day was on August 15.